Do you remember laserdiscs? It has been a while since you could buy them at Camelot Music…do you remember Camelot Music? Back to laserdiscs, this was the format preferred by cinephiles during the age of VHS tapes. They were the size of a vinyl record…do you remember records? They still sell them at School Kids Records. They were round, big and shiny. They were digital so they had a better resolution to make your 35 inch TV pop. Plus many of the films on laserdiscs were letterboxed so you weren’t missing half a Cinemascope film thanks to pan and scan. Laserdiscs also had extra audio tracks so that you could hear a director’s commentary while watching the film for the 15th time. The format gained a snob appeal from people who didn’t want to settle for a rented tape at Blockbuster…do you remember Blockbuster? After Kevin Costner won the Oscar for Dances With Wolves, he let it be known that there was four hour cut of the film of the three hour movie. The longer cut didn’t get a theatrical release in the USA. Seems that theater owners didn’t want a film that could only show twice a day. But when the cut came out on laserdisc in 1994, it became a must have for quite a few folks I knew even though it cost $125 retail. Additionally it came on three laserdiscs that you had to flip. Now in 2018, you can get Dances With Wolves: Collector’s Edition Steelbook with both versions of the movie for $100 less and no flipping discs. During the Civil War, First Lieutenant John J. Dunbar (Kevin Costner) refuses to be butchered by battlefield surgeons, drags himself onto a horse and proceeds to lead his men on what appears to be a suicide stampeded on Confederate forces. This out of his mind offensive works and Dunbar is rewarded by getting to pick his own posting assignment. He goes out to Kansas to see the frontier before the wild west gets tamed. He quickly finds himself between the Sioux and Pawnee. Dunbar finds himself doing his best to survive in the midst of power plays and military actions. No matter how impressive Dances With Wolves appeared to be on a limited edition laserdisc, the Blu-ray transfers bring out the beauty of the frontier. Dean Semler’s cinematography captures the landscapes that glow with the music of John Barry. This remains Costner’s finest moment as a filmmaker. If you have a comfortable enough sofa, you can make it through all four hours without hitting the pause button. 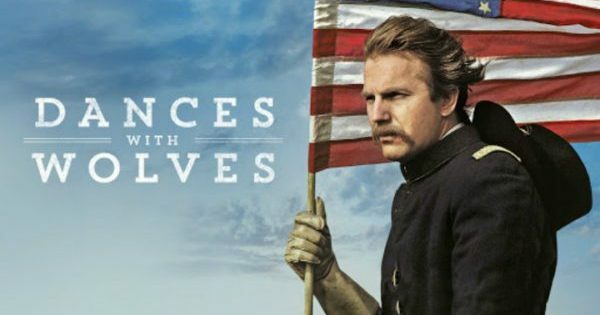 The Steelbook will make this version of Dances With Wolves look prestigious on your Blu-ray shelf. The video is 2.35:1 anamorphic. The transfer brings out the details in the natural settings and the rustic production design. The audio is a 7.1 DTS-HD Master Audio that wraps the wild frontier and John Barry’s score around your house. There’s also the original mix in Dolby Digital Surround. The movie is subtitled. Audio Commentary With Actor/Producer/Director Kevin Costner and producer Jim Wilson has the duo talk about their history and how they made the film. This is only only on the extended cut. Audio Commentary With Director of Photography Dean Semler and editor Neil Travis go over the production and post production of the film. This is also only on the extended cut. A Day in the Life on the Western Frontier (14:19) has experts discussing the way people lived off the land as things were being settled. The Original Making of Dances with Wolves (20:59) is the original bonus feature when the film was trying to hype things up for Oscar fever. Kevin talks about how he could have picked an easier film to be his directorial debut. But this was the script that called him to step up. The Creation of an Epic – A Retrospective Documentary (74:40) details how Costner was about to make a huge film on a medium sized budget. What’s amazing is the core production team met up on a Crown International production. Music Video (3:53) sells the John Barry score with a mix of images from behind the scenes and clips from the film. Five Vignettes include Second Wind (5:19) edit reel, Confederate March And Music (2:14) with troops on a trail, Getting the Point (3:59) maps out an arrow hit, Burying the Hatchet (1:13) reveals secret of stabbing a soldier, and Animatronic Buffalo (2:19) has them show off the robo-critter. TV Spots (1:05) includes the ad that ran after the Oscar nominations. Theatrical Trailer (2:34) shows off the landscapes. Poster and Photo Galleries (9:49) has the publicity from the film. Shout! Factory presents Dances with Wolves: Collector’s Edition Steelbook. Directed by Kevin Costner. Screenplay by: Michael Blake. Starring: Kevin Costner, Mary McDonnell, Graham Greene & Rodney Grant. Rated: Rated PG-13. Running Time: 234 minutes. Released: November 13, 2018.